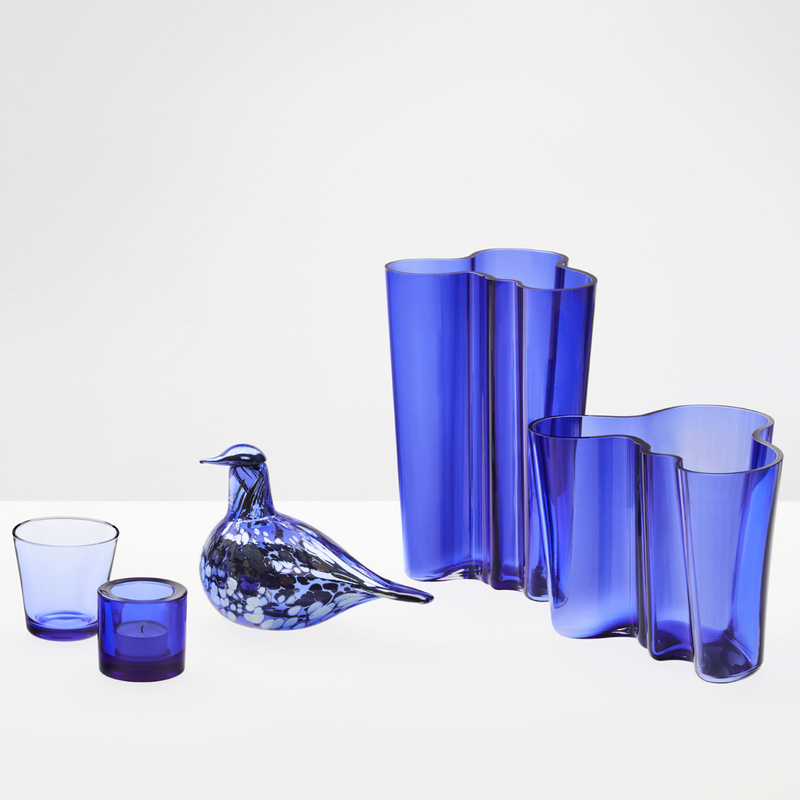 Home > iittala Aalto Finlandia Ultramarine Finland 100 Vase - 10"
Born from a special glass recipe at iittala's glass factory in Finland, the Ultramarine blue hue celebrates the 100th anniversary of Finnish independence. 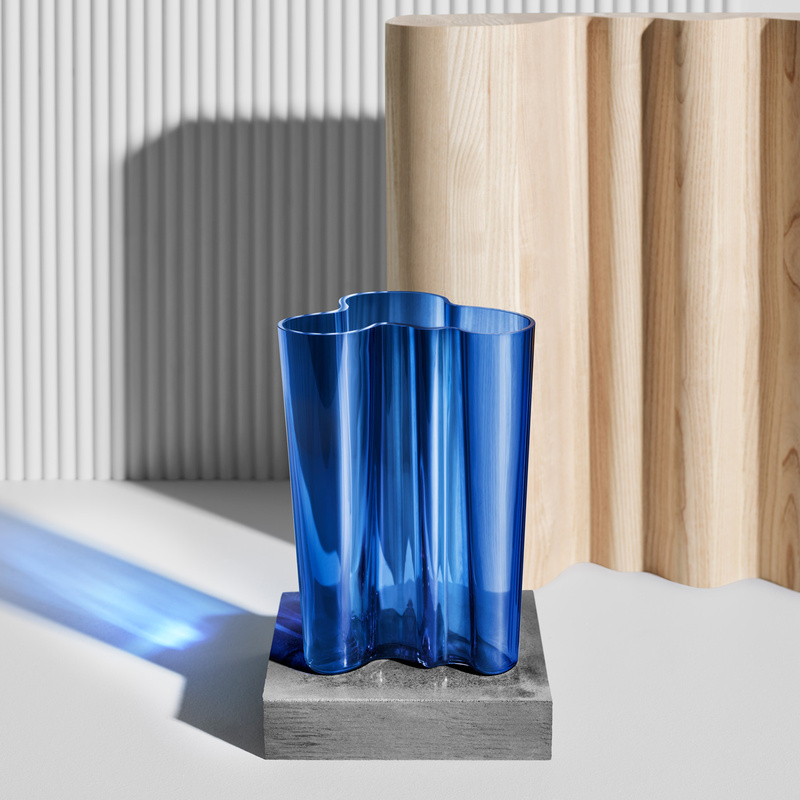 Alvar Aalto designed the fluid lines of this vase in 1936, which beautifully reflect the curving shores and rolling waves of Finland's many bodies of water. Though the award-winning design's raw beauty seems like an organic occurrence, it requires 7 craftsmen, 12 work stages and 30 hours to create just one of these extraordinary works of art. 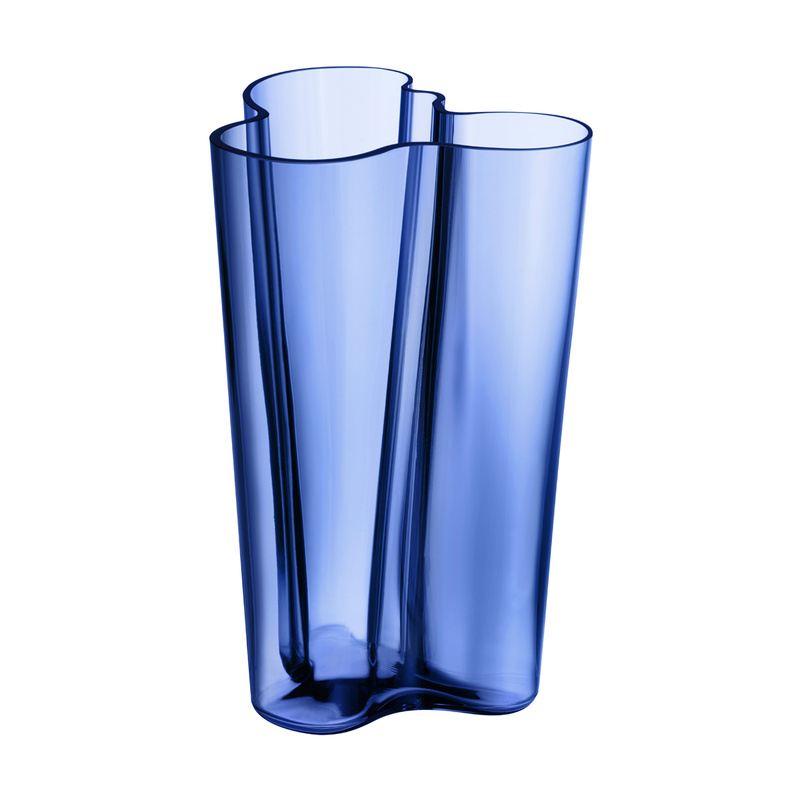 Inspired by the original Savoy vase, the taller and leaner Finlandia will make a dramatic display even when left empty. Reviews of iittala Aalto Finlandia Ultramarine Finland 100 Vase - 10"
Questions & Answers for iittala Aalto Finlandia Ultramarine Finland 100 Vase - 10"